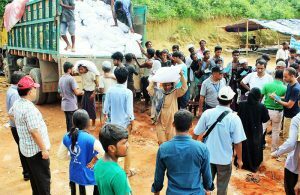 YPSA has been distributing emergency food to displaced Rohingya families since 20 September, 2017. 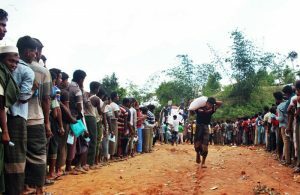 Thousands of displaced Rohingyas who fled violence in Myanmar are now living in temporary shelters in Ukhia under Cox’s Bazar district in Bangladesh. 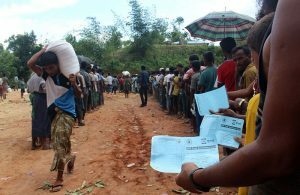 With the support of World Food Program (WFP), YPSA has distributed food grain to 15,600 Rohingya families till 4th October, 2017. Each family received a bag containing 25 KG of rice. This humanitarian aid will be continued until February 2018 and22,000 Rohingya families will receive food. 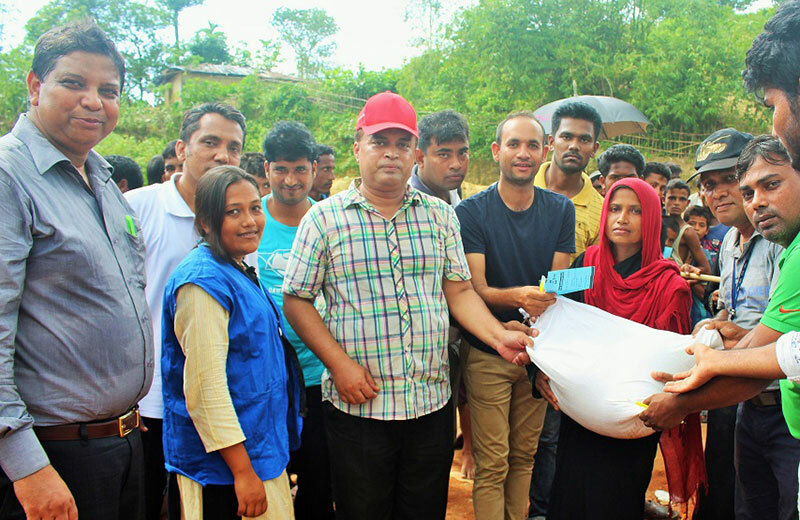 Recently, officials from World Food Program (WFP) and YPSA have visited the food distribution program and met Rohingya families at Ukhiya. YPSA and WFP officials monitoring food distribution activity. YPSA officials with a beneficiary. 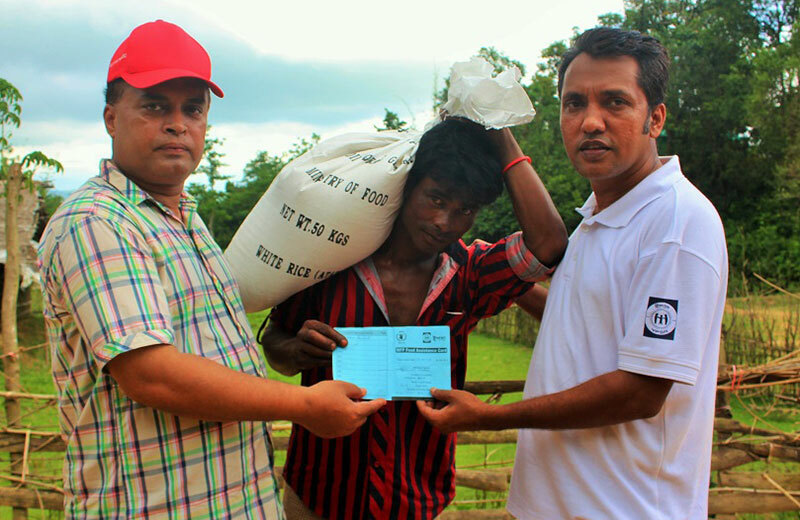 Listed beneficiaries standing in que with their beneficiary card to collect rice from the distribution point.